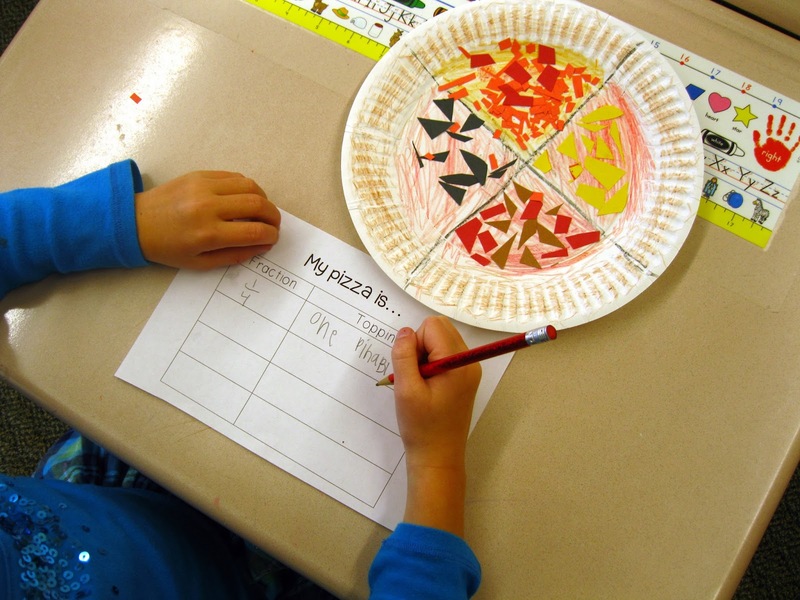 Ship Shape Elementary: Pizza Fractions! We started fractions this week! I have never taught fractions before because my district only recently adopted the Math Common Core and so I was excited to see how it would go! 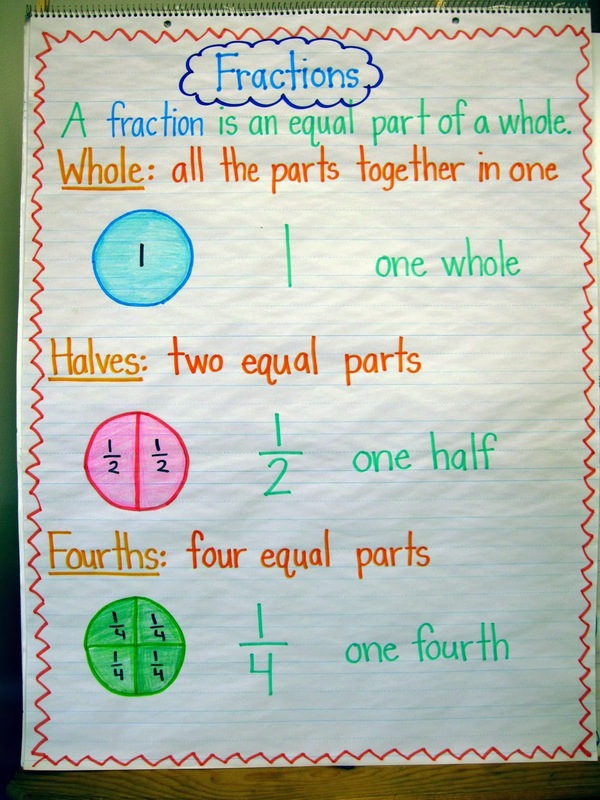 We started with an anchor chart I made to discuss the different ways to create equal parts from a whole. While I discussed this chart with my kids I tried to relate it to some real-life examples that would be applicable in their lives. For the record, first graders catch on very quickly when you are speaking in terms of pizza slices and chocolate chip cookies! 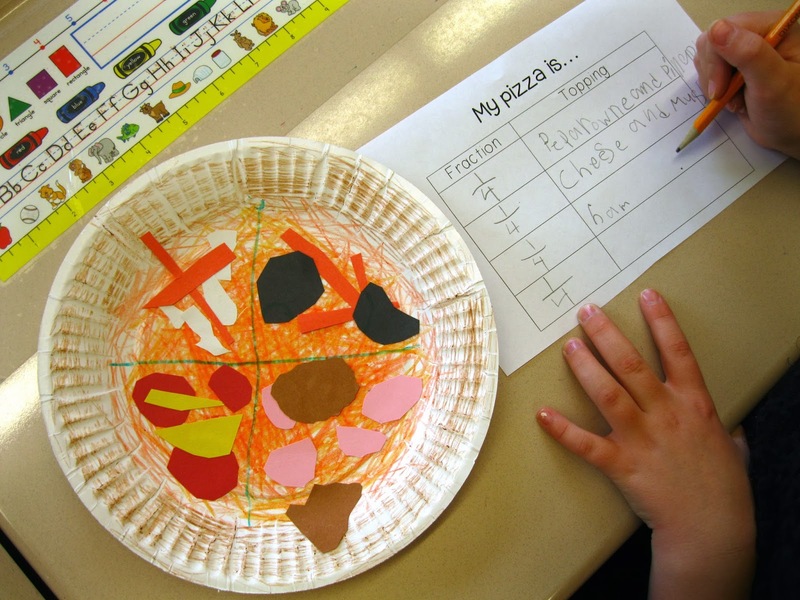 I set out giving my students the math task of creating their own pizza to share with three friends. This was one of the first ideas I found when I began hunting for fraction lessons. Thank goodness for Pinterest! I asked my students to create slices totally unique from one another. I put out a bunch of construction paper, we got our scissors and glue, and my kids got started! Here are the toppings they could choose from to create their pizzas. Some kids made it easy on themselves and put one topping in each of the four quarters of their pizza. Others got a little more fancy and created combination slices! 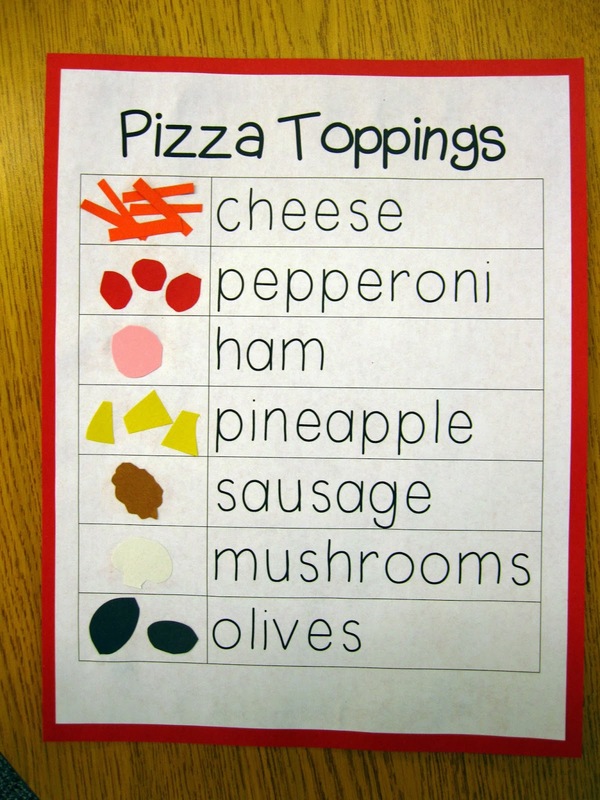 Each was then given a little recording sheet to keep track of which fourths had which toppings. 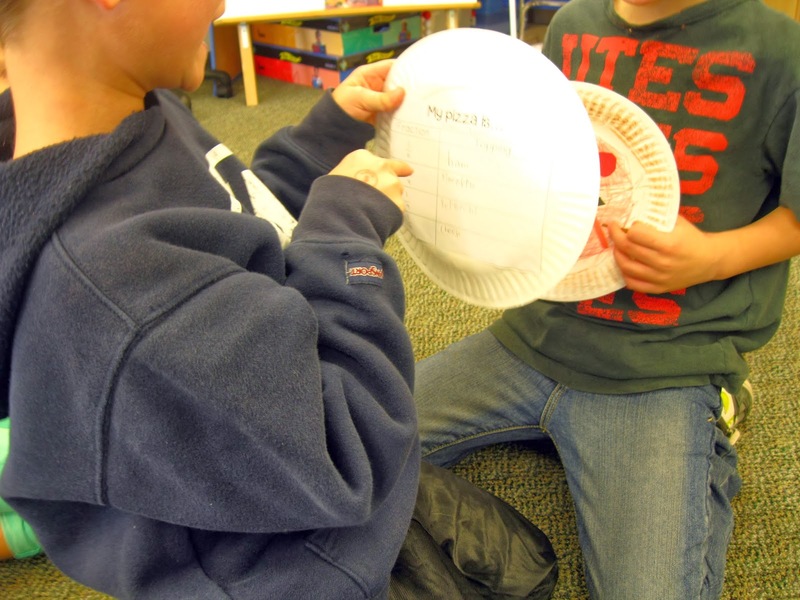 We then glued the recording sheets onto the backs of the plates pizzas and everyone got to read their fractions to one another. They were very excited to share their creations! Side note: I just noticed that the two boys in this picture are wearing a BYU hoodie and a Utah Utes t-shirt. College rivalries, anyone? 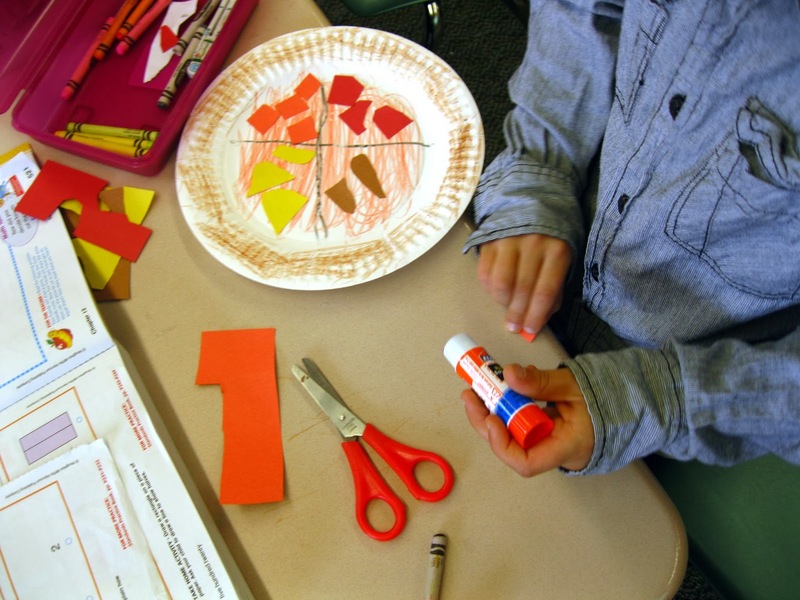 This turned out to be a great introductory activity to fractions. 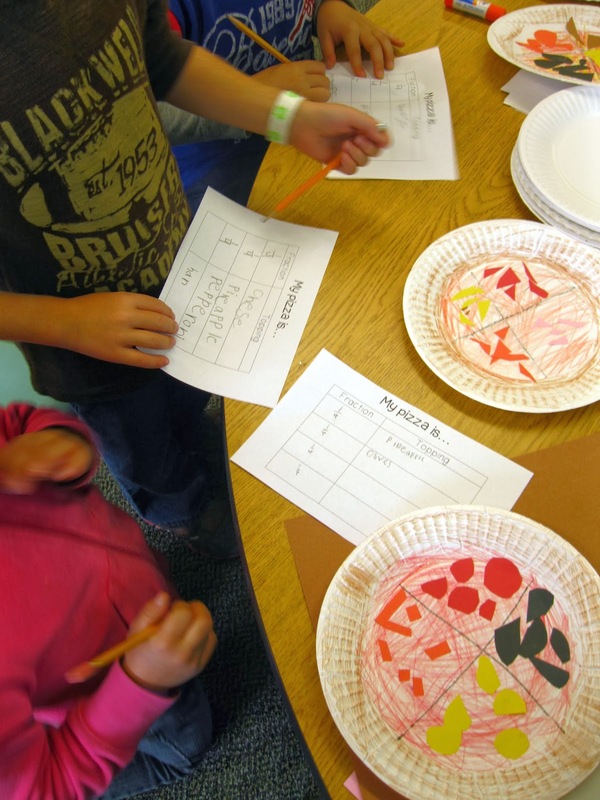 Rather than being able to just partition a circle into 2 or 4 parts, I feel like my kids were able to experience a real-life application of why it is important to understand fractions. 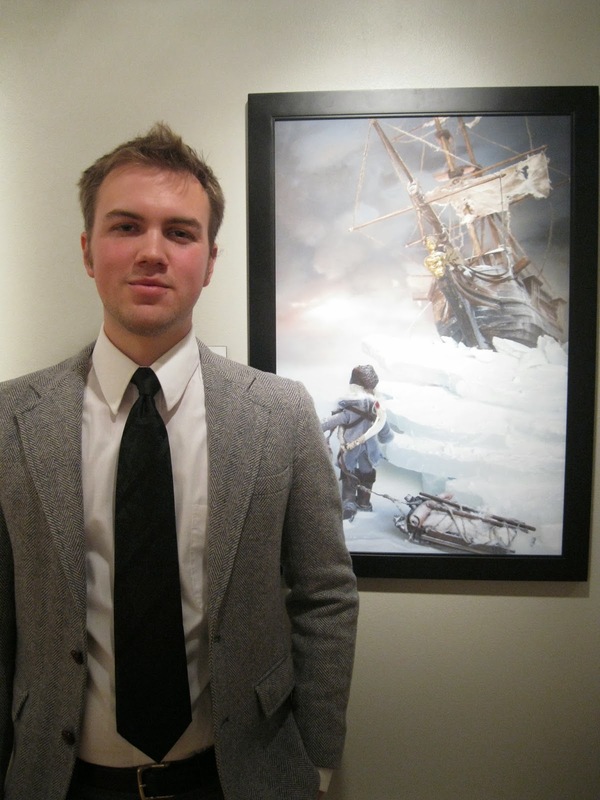 And on a totally-unrelated-to-fractions-this-is-completely-personal-and-I-just-feel-like-sharing-with-somebody note... my husband, an illustration major at BYU, is having his senior BFA show this week! 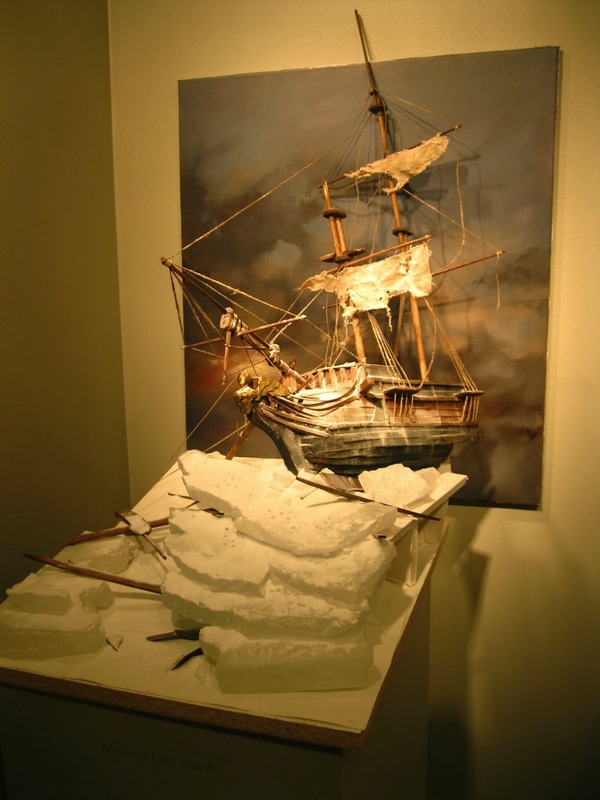 He has been working so hard for months creating these works of dimensional illustration that tell the story of an arctic traveler. Isn't he cute? And he is just about graduated! Wahoo! Proud wifey, right here! 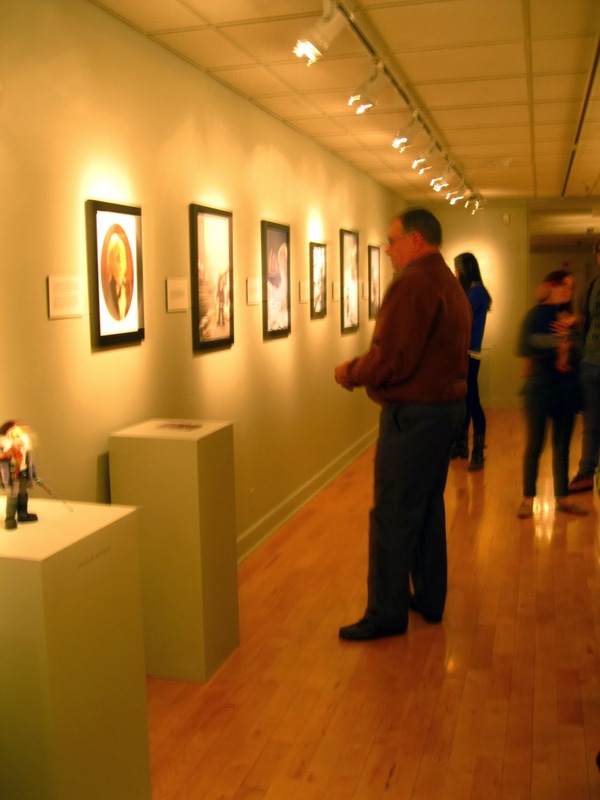 Okay, I'm done now with the personal pride....thanks for reading! Have a great night! Oh, and don't forget to check out my new November Packet!